Orange Nation hosted its third annual Mill Madness pep rally on Thursday, combining a pep rally with a dance party to start the winter sports season with spirit. The night was complete with relay races, scavenger hunts, basketball competitions, performances from the drum line and k-pop dance group NOVA, and free wings from Wingstop. Social studies teacher Maxwell Bero hosted the event with help from seniors Lauren Flandrau and Taylor Dawson. The drum line, including freshman Ryan Pranger and sophomore James Warren, kicked off the event with a banging performance. “It was a pretty fun event with the scooter race… the three-point [basketball] contest was a ton of fun, people went wild for that. Hopefully a lot of these activities will incorporate in future pep rallies and events,” Orange Nation sponsor Maxwell Bero said. Junior David Okoli won a Watkins Mill t-shirt during the scavenger hunt by finding five different people wearing glasses, earbuds, Watkins Mill merchandise, a hat, and someone who has curly hair. The scooter swimming race was filled with mishaps, falls, and fierce competition. 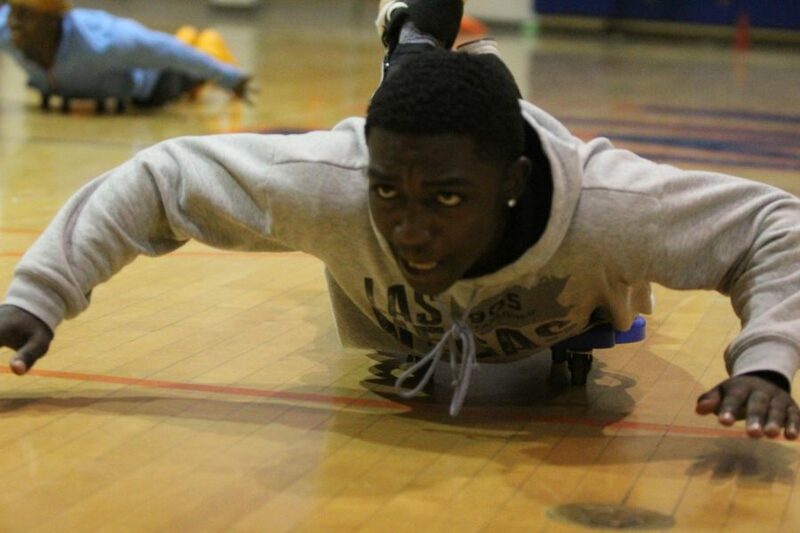 Senior Deshaun McCrimmon won the race. “Me and my friends watched the contest and stayed for the dance after. My favorite part was the three-pointer basketball game because [sophomore Alejandro Chaurand] out showed everyone and won,” junior Melanie Torres said. The basketball contest induced cheers from the crowd when Chaurand made three points in a row. Students jumped out of their seats cheering, screaming, and rushing the floor to support their fellow classmate. Chaurand and his teammate, freshman Johnnie Castro, won the basketball contest. Senior Dominique Kennedy talked about what they could do next time to improve Mill Madness. “The more people [at Mill Madness] the more fun you’ll have,” Kennedy said. Because Mill Madness was on the same night as the opening night of the play and other people had practice, several people couldn’t come. 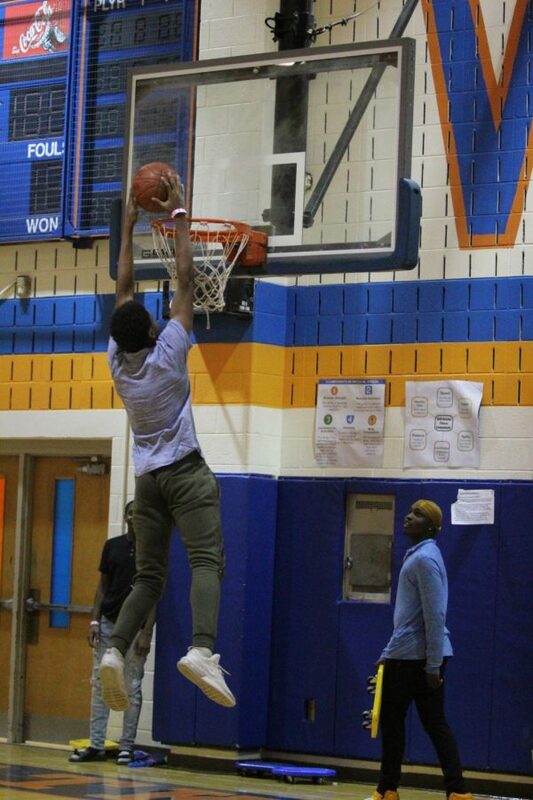 Sophomore William Yondou dunks a basketball and makes the crowd go wild. Sana Khan is a Senior at Watkins Mill High School and the News Managing Editor for The Current.